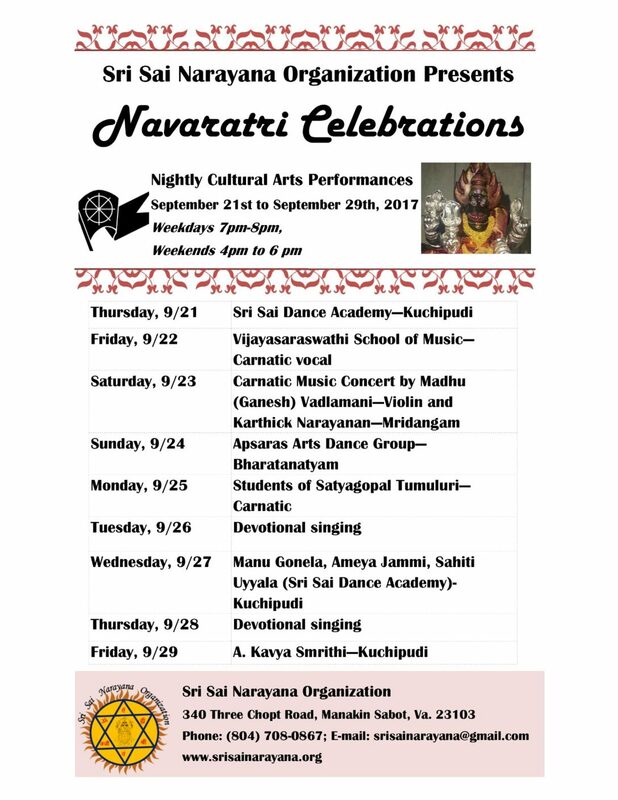 This Navaratri, come to SSNO for Indian cultural programs every night! Dance and music programs featuring the talented performers in Richmond are planned in the evenings. We hope to see you there!